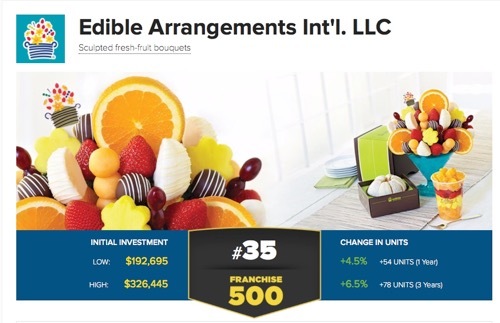 Claudia one of the owners of the Edible Arrangements store that is coming soon to Laredo Texas, received her Bachelor’s degree in Psychology in 1999. After working as a Special Education Teacher in Texas she decided in 200 to venture into acting. Claudia moved to Los Angeles CA where she was first introduced to Edible Arrangements. In 2009, she wrote and self-published a children’s book The Alphabet Thief Who Stole the Vowels and embarked on a South Texas book tour, selling over 13,000 copies. In late 2010, just as she and her partners, mother Rosalva Guerra and sister Odyssa V. were opening their the first Edible Arrangements store at 5702 South Staples St. in Corpus Christi (361-992-3232), Claudia was diagnosed with ovarian cancer. Claudia’s illness made it impossible for her to participate with the first store. Now after treatments her cancer is in full remission and Claudia is taking advantage of this second chance at life by taking charge of their second Edible Arrangements store in Laredo. Her favorite Edible Arrangements product is the box of Chocolate Dipped Strawberries with Mixed Toppings. Congratulations!!!!! So Proud of you and so happy for you!!! Wow! This can be one of the most useful blogs we’ve ever come across on thesubject. I am also an expert in this topic therefore I can understand your hard work.